SEACOM railcars are used for internal rail bound transportation of heavy cargo inside or outside of factory buildings. You can choose between an electric drive (electricity supply either from a battery or mains) and a diesel-electric drive. 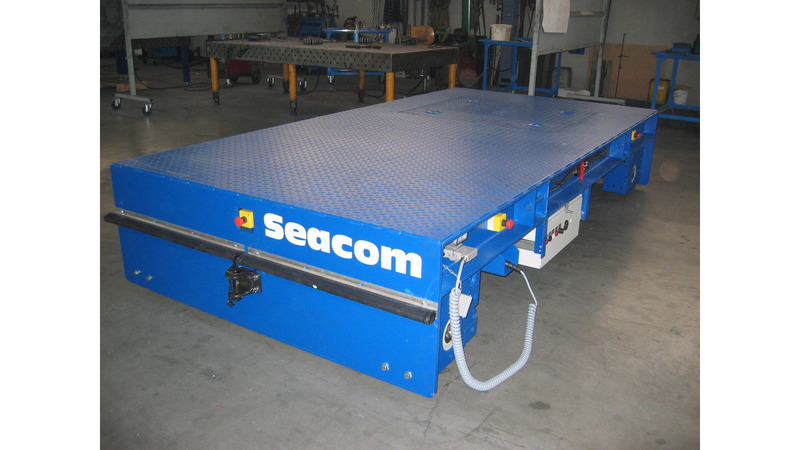 No matter whether you want to transport machine parts, coils or paper rolls, a SEACOM railcar is always the best choice!